Take a virtual tour of the edges and boundaries of Hilperton & Paxcroft Mead fields, showing the natural resources of the area for the suburban forager. Images for the signs have been crowd sourced from people living in these urban fields, showing what is growing in their gardens and the verges and edges of Hilperton. Images and text on wild plants in this map are provided for inspiration, not identification purposes. Some plants are poisonous so please check a reliable guide to foraging and plant identification before picking or eating. 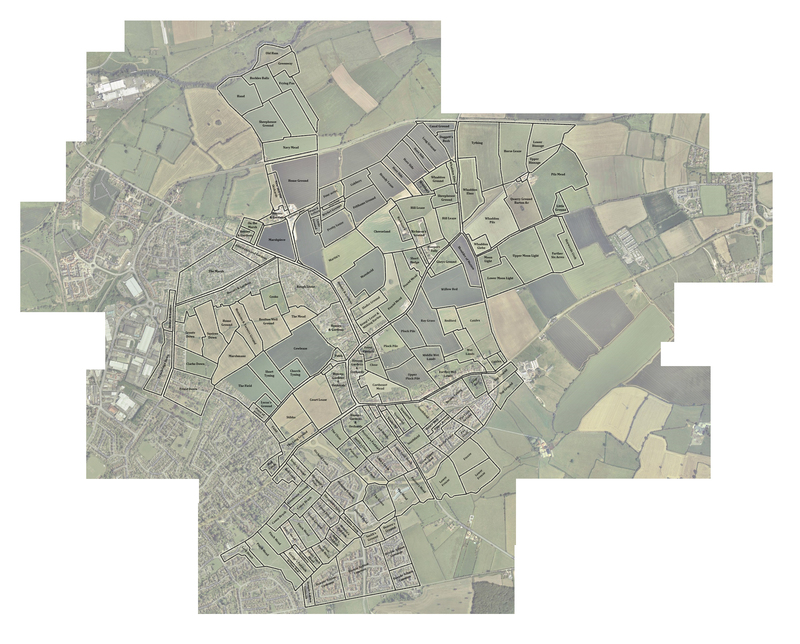 The structure of the project seen in the map above is based on 19th century tithe maps of Hilperton and Paxcroft. These maps were made in 1838, at the height of the enclosures of the commons, the breaking up of land used by all the villagers into private fields. The first enclosure act was in 1709 – between then and 1876 five million acres of rural land was enclosed in the UK. To enclose this land hundreds and thousands of miles of new hedges were planted. It’s a shame the council contractors cut down the apple and plum trees that were along this path in last years purge, along with many other trees which made this a pleasant secluded walk, rather than the dog poo alley it has now become where the weeds have taken over completely.